Long lanes in calm pools of clear water surrounded by moss-covered lava rock reflect the gray sky above and Kaho’olawe island in the distance at ‘Ahihi-Kina’u. 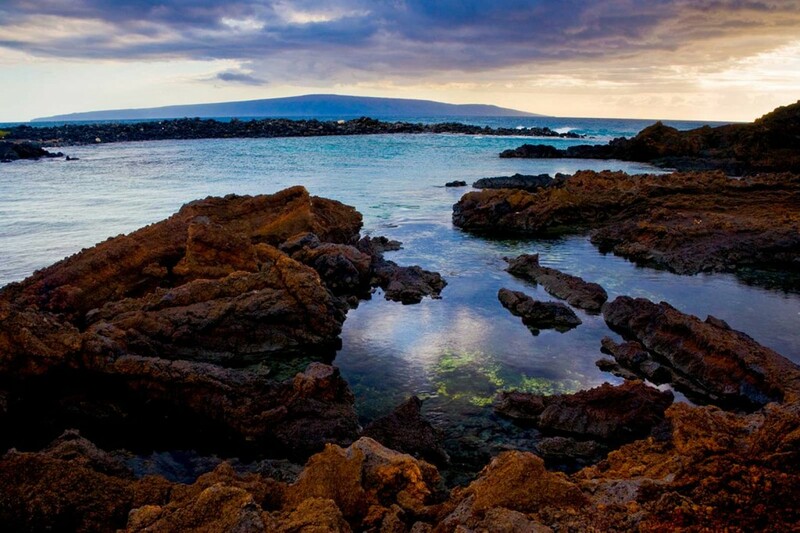 Found on the shores of South Maui, ‘Ahihi-Kina’u Natural Area Reserve is a Marine Life Conservation District, meaning that what you see under the water is just as beautiful as what you see above it. This Hawaii distinct sets the area apart under strict protections for the treatment and management of everything living in the water. Additionally, a community group in the area has set forth guidelines for the Department of Land and Natural resources on managing the area to protect its beauty and resources.